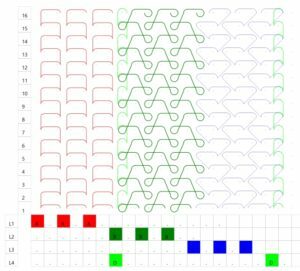 The Warp Knitting Pattern Editor is a professional CAD software for editing of the pattern for warp knitting machines. 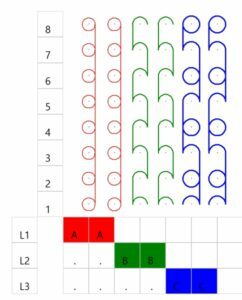 It works in both directions automatically – creation of the graphical representation of the guide bar motion from numerical input or editing of the guide bar motion by mouse and getting the corresponding numerical input for mechanical chain links or electronical guide bar systems. 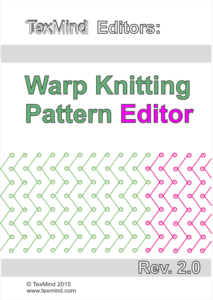 The Warp Knitting Pattern Editor makes the editing of the warp knitting pattern quick and simple. May the software generate machine control files for machines with ELB? Yes, but not for all machine producers. Contact us in case of interest with information about your machine. Do you have MAC version? Mac version is in preparation. Probably, see Windows XP or 8.1. But, please, try to switch to Windows 7 or higher. Does the software calculate the mechanical properties of the fabrics? Not now, but for such calculations we provide several exporting options for various FEM software packages. Does the software generate 3D view of the fabrics? 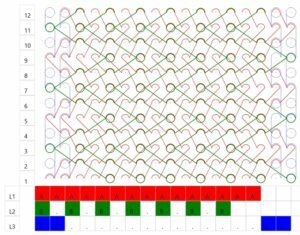 Yes, since 2019 the “Warp Knitting Pattern Editor 3D” has build in support for 3D view. The Editor has additionally interface for direct call of the Loop3D simulation software for 3D visualisation of warp knitted fabrics, but Loop3D is not included in this package. 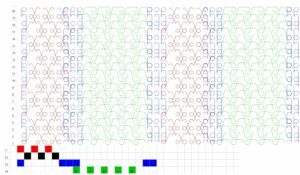 2015.11.01 TexMind Warp Knitting Pattern Editor 2.0 launched. As custom development, not public available. 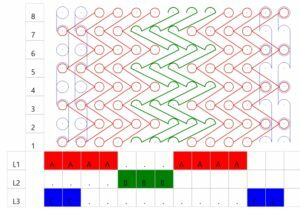 We actively develop our Warp Knitting Software. Ask for current demo and for updates .